Please select an option I would like to comment on Kirk Simpson's work I am interested in purchasing Kirk Simpson's artwork I would like to hire Kirk Simpson for a project or position. 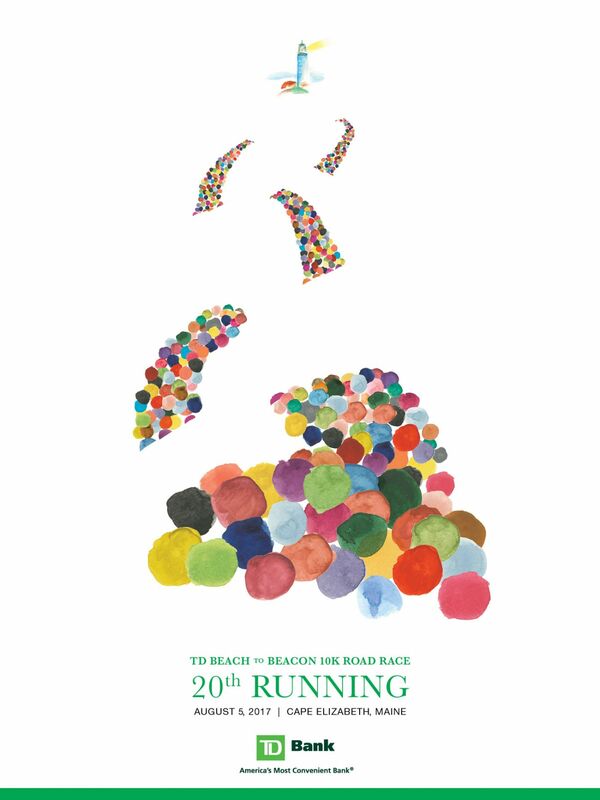 Kirk created poster concepts for the Beach to Beacon 20th Running�? ?10K Road Race. He was fortunate to be able to interview Joan Benoit Samuelson, first ever women's Olympic marathon champion, and her team, gaining valuable information to create the poster concept for the 2017 race. Concept one was based on the diversity and numbers of people he saw in the photos of the race. Seeing only circular swatches of color Kirk immediately went to watercolor to create the main design. It was chosen by Samuelson and utilized for the commemorative poster. The design was then deconstructed for t-shirts and marketing materials. Concept two was based on the gorgeous Maine coast, using type to symbolize the course the runners would take. 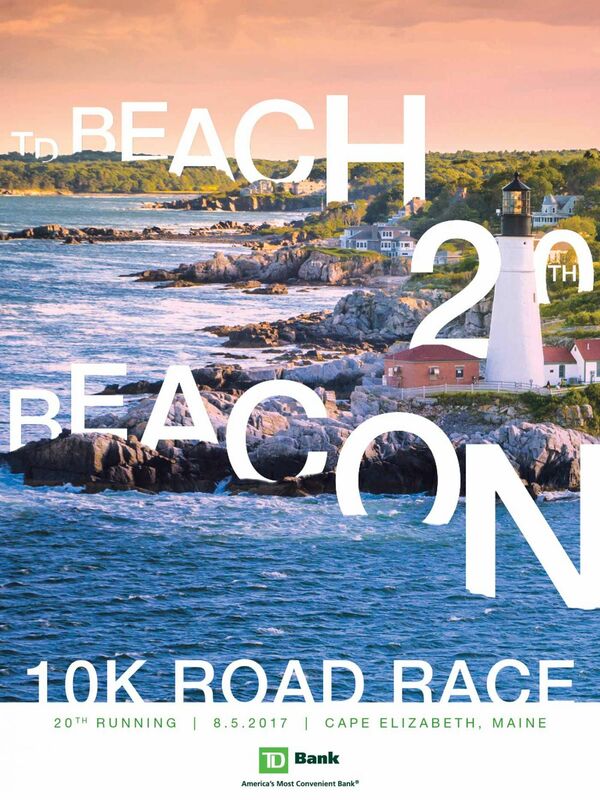 The second poster, a completely different direction, was another variation for the Beach to Beacon Race featuring a picturesque photo of the shoreline of Cape Elizabeth with typography swirled amongst an imaginary route, symbolizing the race through the area of South Portland. 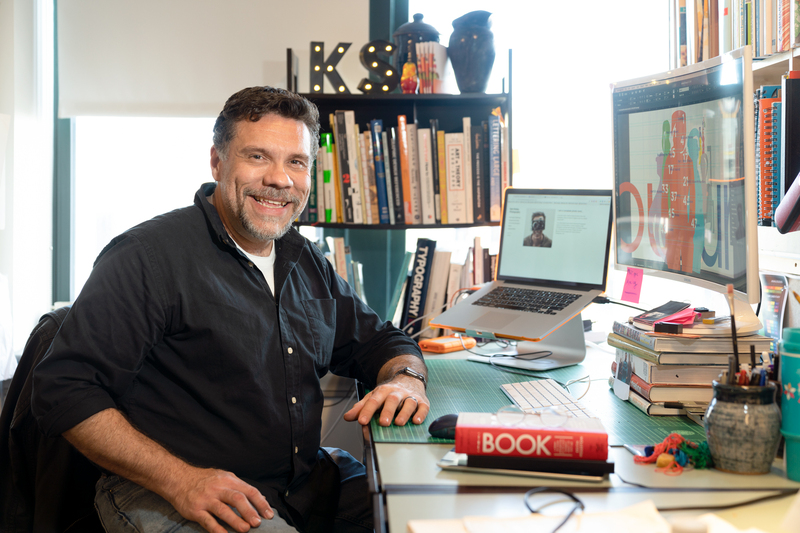 I am a graphic designer, a storyteller, shaping ideas with words, type, imagery, and color, forming a conduit between the events I create and my audience, eliciting emotional bonds that communicate and inspire. I’m also an actor. I have a theatrical voice. I am gestural, emotive, and larger than life. When I walk on stage my presence is felt. My facial expressions can be read across the room. My voice is clear and booming. These are the qualities of my design aesthetic. Through clarity, imagery, color, and form, my design reaches out to my audience. My design is the actor in lights, on stage, and in motion, ready for the audience to find meaning in, a story understood, and a voice heard. 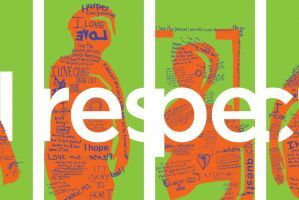 Graphic design communicates an event to the viewer. It brings a voice to those who may not have one. We live in a world where diversity is celebrated and our inner and outer freaks can be embraced. Through this thesis myyourour: stories through design, my intent is to use graphic design to share my, your, and our story, stepping on–stage, letting the lights illuminate the narrative needing to be heard.